Save the date! 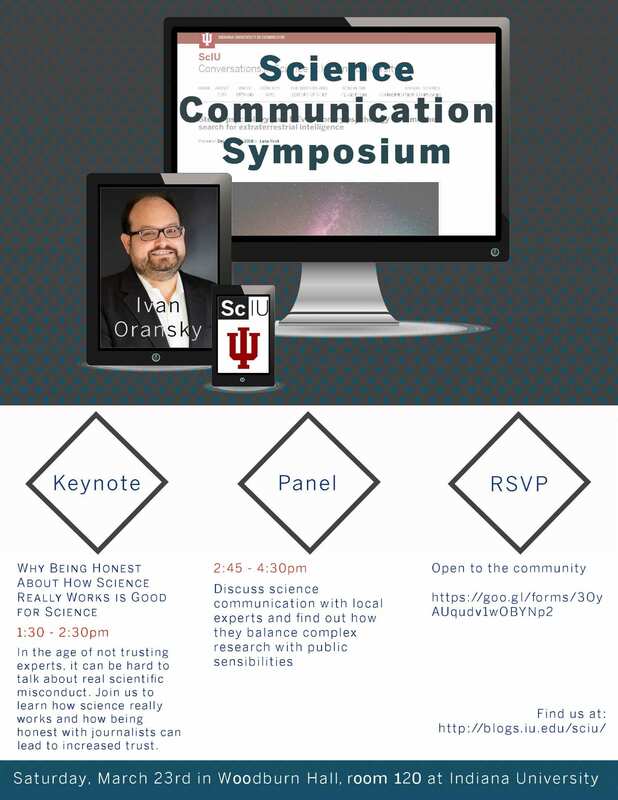 This year’s symposium will be on March 23rd! You can RSVP here. 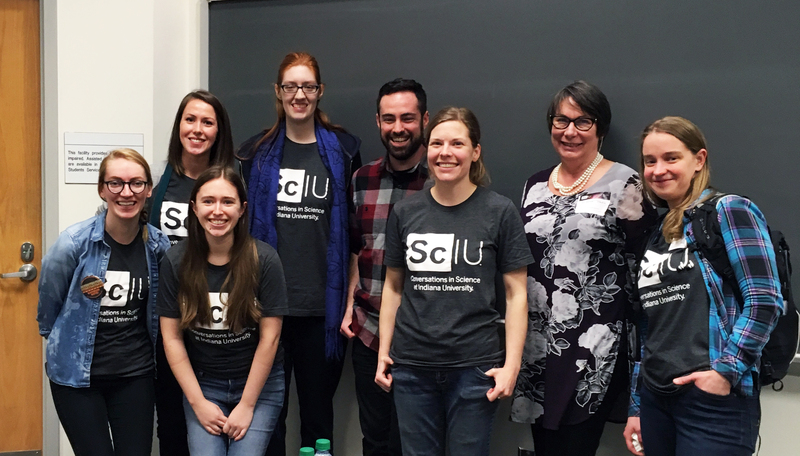 Our Science Communication Symposium in April of 2018 was a huge success! 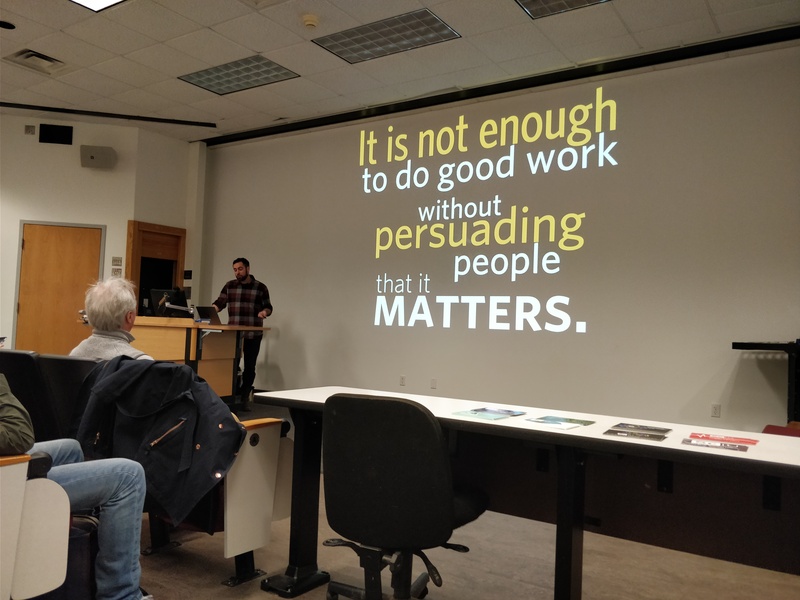 Ardon Shorr gave a fascinating talk, explaining how scientists can and should use evidence to inform audiences rather than polarize them. 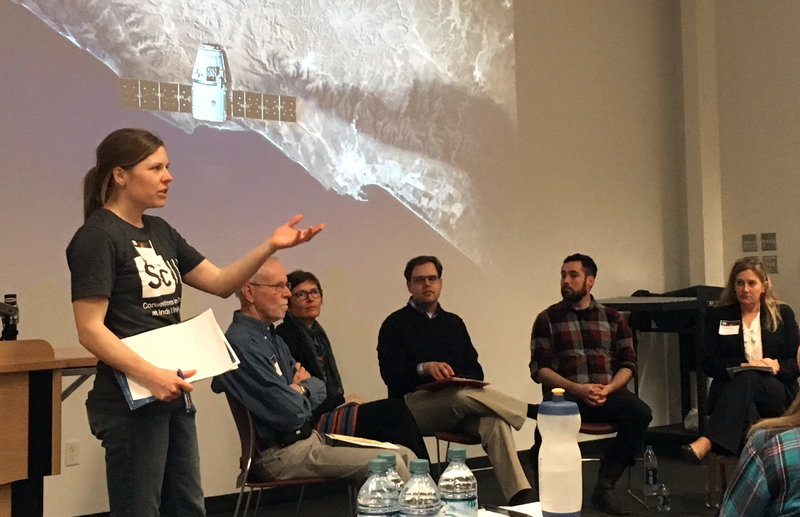 Kimberly McCoy, one of our bloggers, led an engaging question-and-answer session with a few very influential science communicators. Stay tuned for details about next year’s symposium. We look forward to seeing you there!